Authorship Photo Next to Google’s Own Search Results: Dogfooding or Bug? Weird, huh? I’ve never seen authorship photos appear next to any search results for Google’s pages. I’m even more stumped why the authorship photo is of a guy who seems not to be affiliated with Google. Granted, +Matthew Rappaport is a power user and knows his way around a Hangout. But if anyone’s photo were to show up in the search results for Google’s properties, I’d expect it to be of Matt Cutts’s smiling visage, or maybe a photo of whomever has the corner office in the Local/Maps department these days. 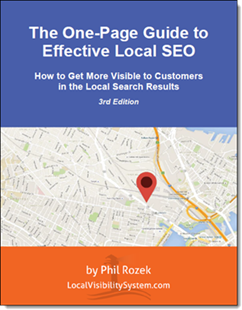 I’m also seeing the same authorship photo in the results when I type in “Google local support,” “Google + Local,” and other terms. Is Google wetting its beak in its own authorship action? Is it just a bug? What are you seeing? Am I missing something obvious? Any ideas as to what’s going on here? The first time I noticed such an oddity, I believe I was notified by Mike (Blumenthal). It was MY photo showing next to the search result for the page of the Google Places top contributors. All I’d done was linking to this page from my G+ profile. There was also a link on that page back to my G+ profile (as there were links to the profiles of all top contributors). I guess this falls squarely into the “bug” category. Re. our photos sometimes not showing up, yeah, I can’t figure out any rhyme or reason for why Google seems not to show them ~10% of the time. PS and seeing Nyagoslav STILL on the a search for the Google Places Forums is typical of the misattribution often seen with rel=author. Weird. I guess it’s good PR for Nyagoslav while it lasts! Thought i’d share this here as I cant seem to find mention of it anywhere else on the web. Recently I saw in a local 7-pack result that a company had an authorship photo within the 7-pack. Have you heard of or seen this before? And any insight as to why Google would put authorship photos on some of a websites pages/posts but not all? Google has been including authorship photos in the 7-pack for a long time. Not really sure why Google shows the photo for some pages and posts but not for others. There doesn’t seem to be much rhyme or reason to it.